A recent study says that smart surface technologies could save Washington, D.C. $5 billion over 40 years. The report, Achieving Urban Resilience: Washington, D.C., authored by Capital E, documents and quantifies the large-scale environmental, health and economic benefits that smart surface technologies could provide. 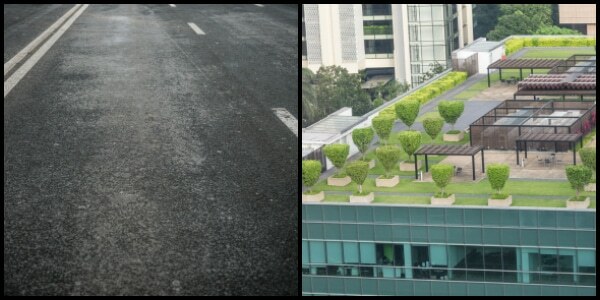 Smart surface technologies include the use of green roofs, cool roofs, photovoltaics, and porous pavements. The quoted $5 billion in savings is from avoided health care, energy, and stormwater processing costs. Cleaner air, cooler temperatures, and more controlled stormwater flow will reduce the size of the systems designed to handle this issue. According to the study, over 40 years this could reach $5 billion just in the Washington, D.C. area. Energy: Reduce electricity purchases from the grid by 8.5 percent, relative to 2013 consumption levels. Water: Reduce stormwater runoff to protect local water bodies while reducing potable water use. Climate and Environment: By full implementation, reduce greenhouse gas emissions by approximately 5.5 percent of 2013 emissions while enhancing resilience to climate change by reducing city temperatures. Built Environment: Improve sustainability performance of new and existing buildings. Nature: Expand tree canopy and other green landscape to enhance city-wide ecosystem. Jobs and Economy: Create more than 2,400 well-paying green jobs in the District over 40 years. Equity and Diversity: Improve livability, particularly in low-income areas that tend to have less green cover and fewer efficient buildings. Health and Wellness: Improve air quality and the public health of District residents and visitors. Partners in this report include the American Institute of Architects, the National League of Cities, DowntownDC BID, USGBC, the National Housing Trust and the Chesapeake Bay Foundation. « What Technological Development Will Most Reduce Climate Change?